First skittle in 2019... let´s go!!! 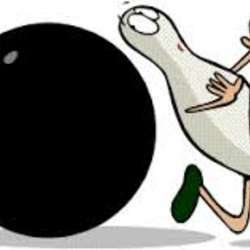 We have a good alternative to Bowling: easy and funny. If you are beginner, don´t worry, we will be happy to help. We want just fun! Normally we have one skittle alley (minimum 2 hours) / price 12 Euros per lane/hour (divided by the number of participants). Number of partecipants is: 8 till Protected content . 2 euro each or less). PLEASE IF YOU SIGN TO THIS ACTIVITY BE SURE THAT YOU COME! WE HAVE TO PAY THE ALLEY!! There are many kinds of possible games: you will discover it with us! During the Skittle it is possible to order something to drink or to eat. The kitchen in the Protected content is very good!